Originally made for Adam Sandler’s pooch, this doggy bed is a puppy-sized replica of the famous beach beds that Nikki Beach Cabo offers (for humans). Nikki Beach is located at ME Cabo hotel – which offers pet packages including the puppy bag pictured. 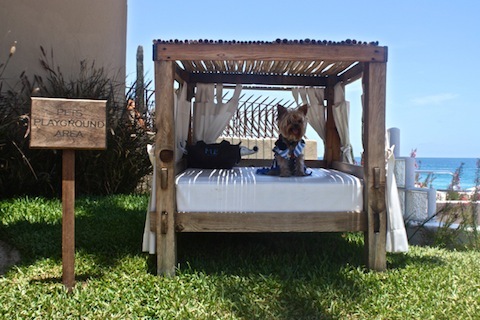 The Yorkie belongs to the Nikki Beach DJ – we borrowed him for this adorable shot.